A multi-disciplinary approach is the key to good data management, says MBE, whose unique and innovative business structure has helped clients prepare for the stringent requirements of the Solvency II regime and beyond. After years of waiting, Solvency II is finally upon us. In this new regulatory world data is required to flow at quicker speeds, in greater volumes, with more accuracy and transparency. Technology has to address the changing needs of insurers operating in an increasingly data-led market. "Our approach to Solvency II has always been: focus on the data," says Andries Beukes, director of actuarial solutions at Müller Beukes Edvardsen (MBE). Good quality, transparent data enables timely, risk-based decisions, which is the surest way to optimise capital and add value. Get your risk management processes and systems in order, and regulatory compliance will follow." Beukes knows better than most the importance of transparent asset data and the challenges of obtaining it – he and his team have spent the better part of the years leading up to Solvency II assisting a range of clients (from insurance companies to asset management firms) in their preparation for the delivery of more frequent, accurate and demanding regulatory reporting. Drawing on the unique combination of skill sets, which has earned MBE its reputation of being an innovative and trusted frontrunner in the provision of Solvency II solutions, the consultancy employs a holistic approach to maximise the efficacy of services provided, which includes: harnessing technology, providing actuarial consulting services, and re-engineering sub-optimal processes. Of the aforementioned facets, the focus on technology has been a particularly telling indicator of Solvency II readiness and has provided some key insights into issues likely to affect the industry going forward. The tool that has been indispensable in diagnosing these issues is TRANSKAP, the end-to-end risk management software application, conceived and developed by MBE. TRANSKAP gathers and consolidates look-through fund asset data (from multiple data providers), identifies data gaps and, using its integrated asset model, performs the standard formula solvency capital requirement (SCR) calculation. "TRANSKAP was designed with the intention of automating insurers' capital planning calculations and risk management processes thereby freeing up actuarial resources," says Christo Müller, director of technology solutions. "What's been revealed in implementation, however, is the breadth and depth of issues present in the data upon which all analysis and calculations are based. And this has confirmed to our clients how fundamental and critical reliable data is – without a solid foundation, all further processing is not only inaccurate, but potentially misleading." Based on real client experience, MBE has identified several major – and often surprising – challenges which may be faced by insurers when it comes to data management, as well as ways to address them. The need to use look-through asset data has been one of the more contentious requirements of Solvency II, and not without reason. The sheer volume of data to be analysed on a frequent basis presents challenges in terms of systems and processes, and, of course, in the sourcing thereof. In addition, running client funds through TRANSKAP quickly made evident that, even with access to and communication with asset managers, insurers still need to source data from multiple sources in order to obtain a complete dataset. Furthermore, all data needs to be delivered in, or at least converted into, a consistent format. Some of the funds backing these products required as many as 16 iterations of look-through to produce a line-by-line level of granularity. MBE cites a number of examples of insurance clients, with unit-linked savings, with profits and non-linked business on their books. Some of the funds backing these products required as many as 16 iterations of look-through to produce a line-by-line level of granularity. Clients' portfolios had an average of five unique child funds for each parent fund, resulting in five times the effort to look through compared to what was originally anticipated. As TRANSKAP performed the multiple levels of look-through, data volumes grew exponentially. One client's portfolio of about 4,000 mutual funds broke down into almost 9 million non-unique asset lines. It became clear that data would be required from not just one, but up to as many as five additional data vendors and providers, while ensuring consistency between them. 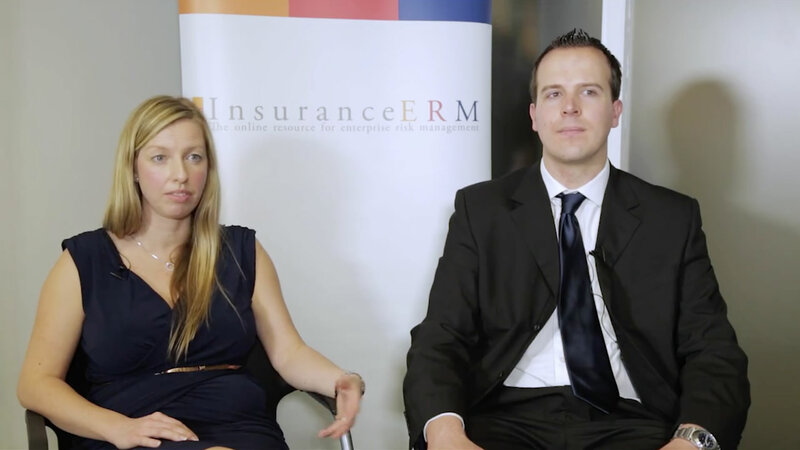 For one insurer, MBE implemented TRANSKAP to provide them with an automated end-to-end solution, integrating all the data from the various sources, which is standardised, transformed and stored. The company is now able to carry out its market SCR calculations and integrate them into its existing liability models. Output from TRANSKAP also feeds into the overall Solvency II reporting requirements of the organisation. With an end-to-end runtime of less than two hours, the work has led to a significant reduction in resource requirements and production timelines for the company. While the market has no shortage of data aggregation tools, many of these rely on very manual processes, while others only exist within the deep technical layers of IT departments. Harnessing the ability to fully automate data collection is crucial in saving time. Archaic processes often hamper the ability to use data in an efficient way. Dealing with this goes beyond technology and systems, it requires the re-evaluation of risk processes. Obtaining the data, however, is only one aspect of the overall challenge. Archaic processes often hamper the ability to use data in an efficient way. Dealing with this goes beyond technology and systems, it requires the re-evaluation of risk processes. MBE has used TRANSKAP to streamline and automate processes for various clients. As a recent example, MBE worked with the life actuarial team of a major reinsurer that was struggling to meet its quarterly reporting deadlines. "There were countless manual steps and an outdated risk process, which was using a large number of different systems and multiple handovers," says Vibeke Edvardsen, director of process improvement and operational excellence at MBE. "Furthermore, previous processes were too siloed and reporting was unwieldy with no centralised data sources to control and assess data quality." MBE implemented a centralised data repository and identified and corrected inefficiencies in the manual processes. The increased automation has led to a major reduction in processing time. Annual results production, which used to take nine weeks, has been reduced to five as the process becomes embedded into the business. Allied to this, MBE encouraged a more radical shift in the culture of the department. The teams are now more mindful about what they do and hold post-mortem meetings after each valuation. The company has moved from the previous siloed culture to one that encourages communication, monitoring and continuous improvement. One of the other challenges currently faced by insurers is to access data on time. Not only do actuaries require data quickly in order to meet Solvency II reporting deadlines, but senior managers need the ability to generate reports tailored to their needs at a moment's notice. Given the volume of data that needs to be organised to make this possible, offering this capability presents significant challenges. MBE designed TRANSKAP in a way that would allow senior management to access the data directly. Users may view the company's balance sheet at a level as granular as required – from searching for a single asset, to analysing full look-through data of all unit-linked funds. TRANSKAP maintains full data lineage within the data stores and throughout the workflow, meaning data can be traced back to its original input source, providing thorough auditability. Before Solvency II, insurers and asset managers enjoyed a polite, yet arm's length, acquaintanceship. Now, thanks to expectations around data transparency, the two stakeholders have been forced to open lines of communication and forge strong working relationships, for which neither had quite been prepared. As the deadline looms, all involved have made great strides towards finding sustainable solutions for healthy and productive partnerships. The question of how the buy side can best support insurers in their capital requirement calculations still remains. Many asset managers have been looking to calculate SCR values to provide value-add to their insurance clients – which is not unreasonable given their access to granular data. MBE, having worked closely with clients on both sides, believes that asset managers should focus instead on improving the quality of the data provided to insurers. 2016 is here; now what? MBE expects to provide continued support as Solvency II moves into the business-as-usual stage, but is also looking ahead to "the next big thing." IFRS 4 Phase II, for example, is currently prompting insurers to look at their asset accounting and is likely to be the next major upheaval in the regulatory landscape. Because future-proofing is so fundamental to the MBE philosophy, much of the work already done has been aimed at preparing clients for further regulatory changes, whatever they may be. For example, MBE recently implemented a central data repository for the actuarial team of a large UK life insurer to help improve their valuation processes in order to meet the quarterly Solvency II reporting deadlines. One of the client's key requirements was to be ready for further regulatory and reporting changes, like IFRS 4 Phase II. Müller explains how this remit was met: "We automated key controls in the process and developed an approval functionality that allows full audit history of the data— a necessary provision for Solvency II compliance, but also one that allows the data to be easily 'reprocessed' to suit further needs. The work has reduced the operational risk for the insurer and will lead to a consequent reduction in future maintenance." The scramble to prepare for Solvency II implementation has meant that many companies have thus far been working tactically before the start of the rules, essentially establishing procedures on a short-term basis. From 2016, MBE believes that the big change will be that insurers will seek to adopt a strategic, long-term solution which enables them to carry out work independently of external consultants (for example by full software implementation). MBE has developed long-term partnerships with clients to help them take up the reins and bring all of the data management and processing in-house in the future.